Continuing the discussion of the appropriate demeanor when confronted by law enforcement, unexpectedly, it is important to be cognizant of your rights. Again, be calm and respectful. You are required to identify yourself to the point of showing an ID. You are not required to explain where you have been or where you are going. If you are asked to step out of the car, your liberty is being restrained, which equates with an arrest whether the officer says you are being arrested or not. You should remain calm and comply. Do not answer any questions other than to identify yourself. Anything you say from that point can be used against you in a court of law. The officer does not have to tell you why they are asking you to do what they are asking. The officer does not have to tell you why you are being detained. Remember you cannot win on the street. 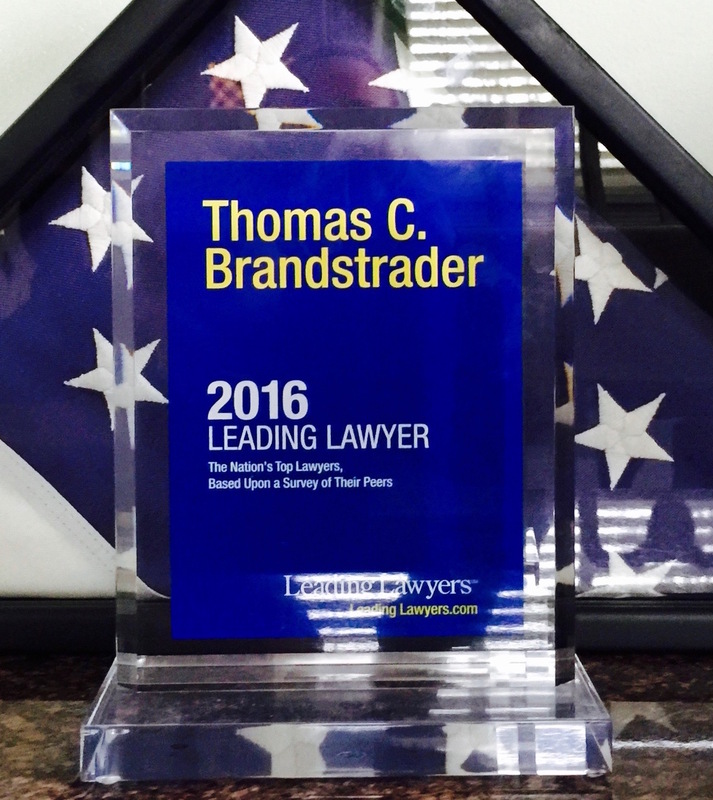 You can win in the courtroom if you keep your words and emotions under control. Do not let the matter escalate. Be aware of your rights as a free citizen protected from unreasonable search and seizure (to be discusses in later post). 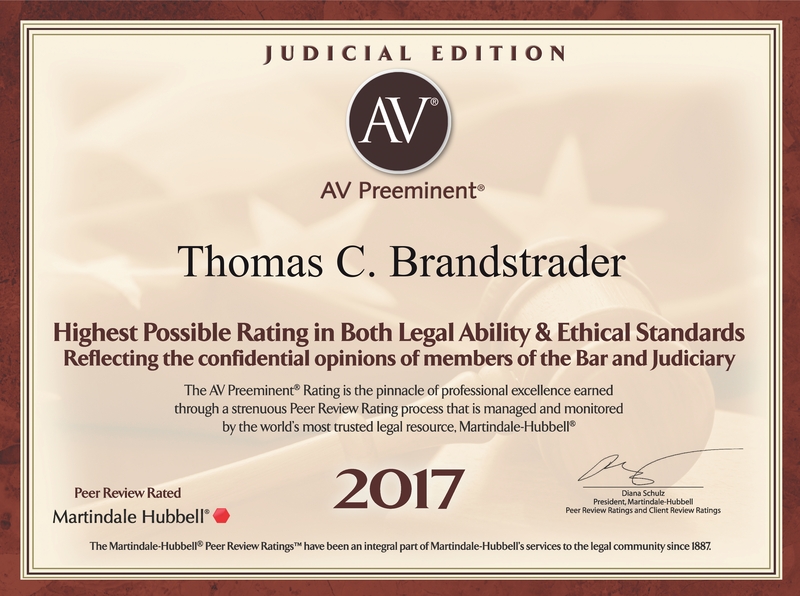 Highest possible rating in both legal ability and ethical standards reflecting the opinions of members of the Bar and Judiciary. 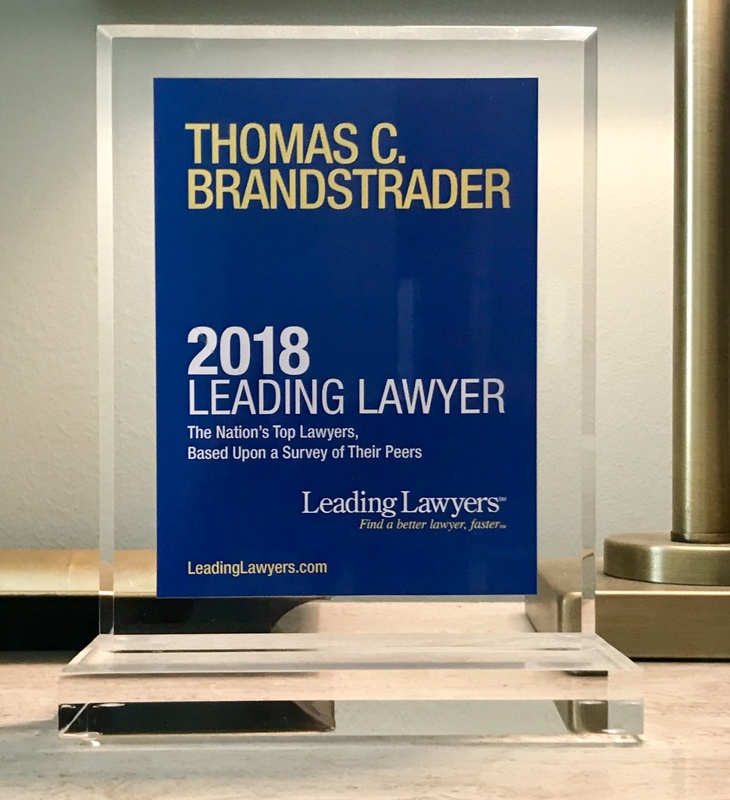 Criminal defense attorney Thomas C. Brandstrader wins not-guilty finding for client accused of possession with intent to distribute cocaine worth an estimated $6.75 million. 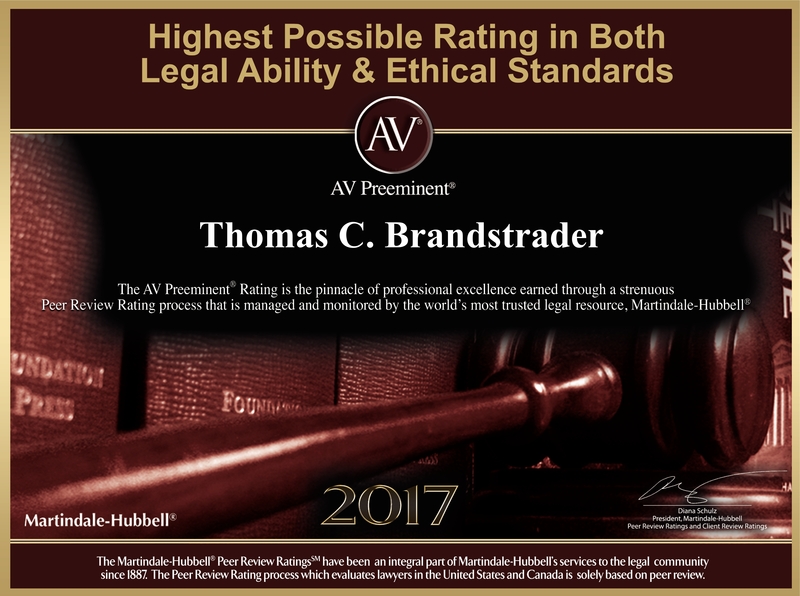 Thomas C. Brandstrader, a Chicago criminal defense attorney, recently won a case in the Circuit Court of Cook County Illinois (Case No. 15 CR 3480) for a client who was accused of possession with intent to distribute cocaine. According to court documents, the defendant was charged with one felony count of possession of a controlled substance after $6.75 million worth of cocaine was found in his car, following a police narcotics investigation when the defendant was allegedly witnessed placing two heavy suitcases into his vehicle before driving off.